The QNX car platform has done some great things and so many great features have been built using the QNX car platform. Now another amazing feature to add is the new in-car speech recognition framework that will now recognize a speakers intent for voice commands. The framework allows applications to access AT&T Watson which provides a more natural understanding of spoken commands. This means users can do things like create calendar appointments, dictate email, give voice navigation instructions or even perform internet searches. 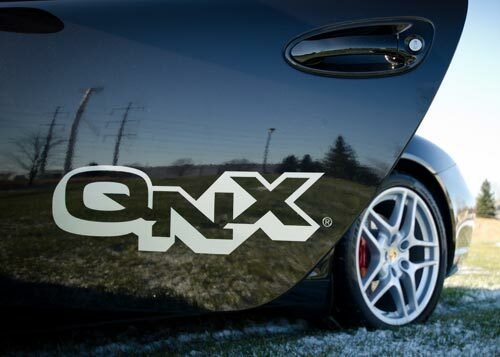 OTTAWA, ONTARIO–(Marketwire – January 07, 2013) – QNX Software Systems Limited, a global leader in software platforms for in-car electronics, has announced a powerful new framework that will allow speech recognition systems in cars to understand a speaker’s intent. The framework extracts meaning from the driver’s spoken words, enabling in-car systems to create calendar appointments, dictate email or text messages, set complex navigation destinations, and even perform general Internet searches. The framework, which is a component of the QNX CARTM application platform, allows in-car applications to access AT&T Watson(SM) speech recognition technology. AT&T Watson(SM) is AT&T’s pioneering speech services platform, which enables the development of next-generation technologies that go beyond speech to power more advanced natural language understanding and automatic speech recognition, among other capabilities. The multimodal and multilingual speech engine runs on a cloud-based server to provide extremely high-quality recognition with low latency. Determination of the intent behind the driver’s speech starts on the server, where the AT&T Watson speech engine begins to analyze words and fits them to known patterns. The results are then handed from the cloud to the car, where the in-vehicle intent engine from QNX Software Systems performs the remainder of the speech analysis to determine how to act. The intent system from QNX Software Systems is dynamically pluggable, which allows the recognized vocabulary to change depending on what applications are active, and to support new apps that are downloaded to the car. The QNX CAR application platform from QNX Software Systems is a comprehensive, pre-integrated software stack designed to help automotive companies reduce the time and effort of building highly sophisticated and connected infotainment systems. Developed at AT&T Labs, AT&T Watson(SM)has been powering advanced speech services in the marketplace for years. The technology reflects more than one million hours of research and development in speech technologies that has led to more than 600 U.S. patents and patent applications.